It is out in the open, Magento 2 is the best thing that happened to the e-commerce realm. There are many things worth knowing about the upgrade of Magento 1 to Magento 2. Magento 2 is decorated with the features like improved scalability and performance, improved checkout processes, Mobile friendliness, key integrations, ease of customization and upgrade, automated email marketing, highly advanced reporting, and enhanced agility and efficiency for all sorts of business owners. Who would say no to these many features? You will be baffled by knowing the fact that only 4% of 420,000 Magento websites are currently using Magento 2. Really!!! Is that even a real number!!! The facts were given by Builtwith.com in their trends section. Here is a link for you of that. 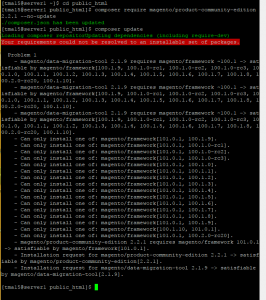 So, this means there are things you need to check before you go for Magento 2 upgrade. By the means of this post, we will discuss some of the questions you must ask yourself before you decide to upgrade to Magento 2. So, without any further ado, let’s get you started with the questions you must ask. Is Magento 2 that Good!!! This is the first question you must ask yourself before you make any decision. Is it really worth to upgrade? There are many upgrades that make Magento 2 way too better than Magento 1. Here is a comparative study between Magento 1 and Magento 2. Magento 2 is around 50% faster than Magento 1 in the page loading speed. The checkout page is 38% more efficient than Magento 1. Magento 2 can easily handle 117% more orders in number per hour than Magento 1. Magento 2 has the capability to manage 2.1 million more page views than Magento 1. Security flaws are way too less than that of Magento 1. Magento 2 is compatible with PHP version 7.0, 7.1, & 7.2 while Magento 1 doesn’t. Magento 2 is packed with features that will help you manage your e-commerce business easily and efficiently. Is it the right time to upgrade to Magento 2? 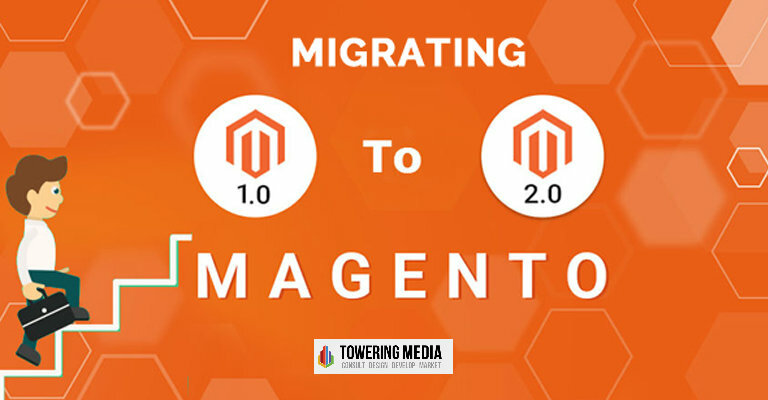 Once you compared the features, you need to check whether it is the right time to migrate to Magento 2. Let’s have a glance at some of the factors you simply can’t overlook when upgrading to Magento 2. When you are planning to implement a new marketing campaign (which is also the time of holidays). The main reason to choose that plan is that you will have more traffic where you need to have more control over your website. Magento 2 will make the management of your e-commerce website bliss. When you need more features to lure more customers. You can add many new features which will ease the navigation of your audience. Personalization, improved efficiency, and higher SEO rank are some of the enticing features waiting for you when you choose Magento 2. If you are looking for some major design or redesigning of your website, you can introduce Magento 2. 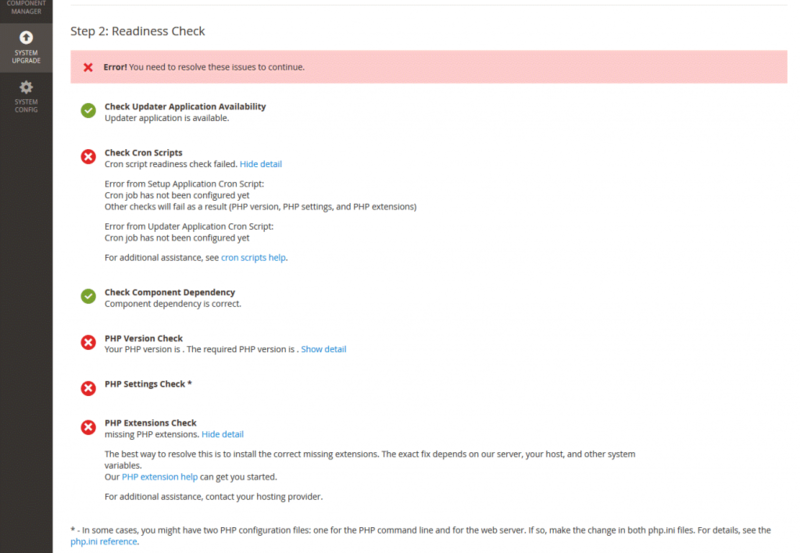 A simple yet crucial checklist for you while migrating from Magento 1 to Magento 2. Always know that timing plays a crucial role while you decide to carry out one of the most major changes to your e-commerce website. You will need assistance while migrating to Magento 2. Take help from one of the best Magento migration services. Before you upgrade, don’t forget to have a look at the templates of Magento 2. 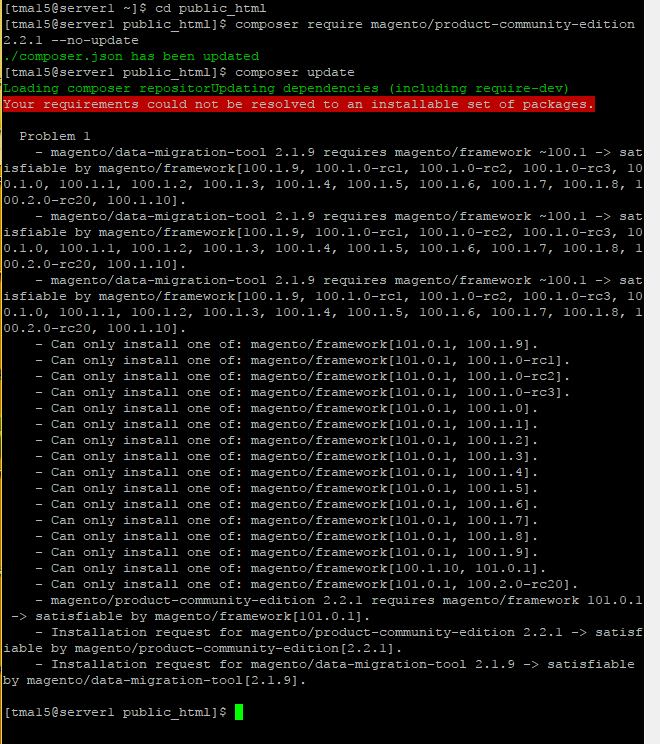 The Risks Associated when you decide to stay with your Old Pal Magento 1. The support of Magento 1 will end soon. That will create a lot of issues for your business in the nearing future. So, don’t just stand there fellas. Go grab your upgraded Magento 2 now. You can simply type these key phrases on Google. You will get ample help from that. With these key phrases, you can easily get access to a quality Magento Migration Services. Adios fellas, I hope you got what you are looking for. Ahoy Merchants!!! 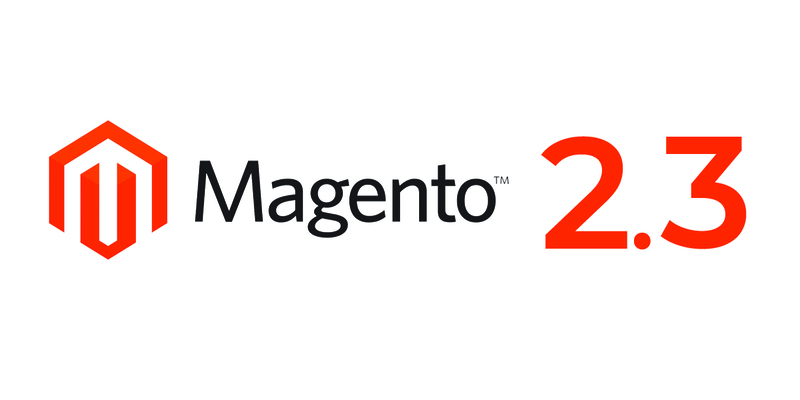 Magento 2.3 is here for you. If you are a merchant or an expert in Magento development then it will be a holy grail for your business. There are ample amount of new features and tools which have the potential to make your e-commerce business bliss. If you’re an apt team of Magento developers, then with this update you have ample functions to meet your client’s requirements and expectation. Without any further ado, let’s get you started with the benefits you can reap from this security release. There are many features to look out for with this new release of Magento. Let’s break it down to frags so that you can easily comprehend how beneficial is this update for you and your business. Operational efficiency is something a merchant always need to work on if he wants to grow and reach out maximum sale. With the latest update from Magento, multi-source inventory spawns you merchants with enhanced operational efficiency by serving them with multi-serving function. With this function, it becomes super easy for you to manage your inventory in accordance with the location of your user. The track inventory allows you to manage all the inventories at one place. You can set rules which will help you in prioritizing the inventory sources which your user can see in your website on a real-time basis. It is also easy to integrate any third-party inventory system. As a merchant, you can easily track the product when your customer adds products to their cart. This feature will help you in presenting accurate quantity to the customers to avoid any future inconvenience. This tweak will help you in increasing your conversion rates effectively. In the coming future, smartphones are going to rule the e-commerce realm. Magento’s new update release caters you with progressive web app feature. This feature will enable you to serve your customers with superior mobile experience which will definitely boost your business’s conversion rate and engagement. In short, with the help of progressive web apps aka PWA studio, you can easily make your development process cheaper and faster. M-commerce is the future of the business which is the reason PWA feature will help you in achieving increased web and mobile visibility, better page performance, and higher conversion rates. Another important thing here is PWA studio will release its independent releases which will indeed affect your business positively. So, this update has the potential to make your website’s user experience mobile-alike. Remember those days when you have to ask a Magento experts every time you need to make changes to your e-commerce website? Gone are those days!!! Magento introduces you with a drag and drops feature. It will become easy for you to place images, videos, and banners at your will anywhere on your e-commerce website. You can even create new pages and launch fresh content for your website to engage the audience. In addition to that, it is very easy to add additional information to your product pages and add new category products. With a flexible grid system, you can place desired page element anywhere you want. It is highly customizable and also helps you to streamline the content of the website in accordance with your target audience. This newly enhanced page builder is filled with the functionality such as easy addition of media gallery and widgets. Also, you can create dynamic content blocks and even schedule content for the future. This can be a huge plus for your content staging campaigns. Magento shipping feature will provide you with additional support for order fulfillment. Magento experts can use GraphQL to drop query for a specific data element in just one request. Magento also now comes up with the Declarative schema. Indexing process will also be increased for the entire e-commerce website. So, what are you waiting for? Update your Magento interface now and grow your business like a boss!!! That’s it from this edition, I hope you like it. Let me know your thoughts on this Magento update via comments. Adios for now fellas!!! Just because of the regular updates by Magento, different Magento stores become secure from the possible attacks. Every Magento update comes with new features and plenty of security updates. Hence, it is important to stay up-to-date with Magento to use its latest features to the maximum advantage and to protect your Magento stores for the potentials attacks. There has to be the backup for both files and databases so that your data can be restored easily in case anything wrong happens while updating. Go through the release notes of the version to learn about the changes and features that have been introduced. Stay calm and composed while updating your store as it needs to be done carefully with the right commands. It is recommended to test the update in a staging environment just to be sure that all the aspects of your e-commerce store are compatible with the latest version. 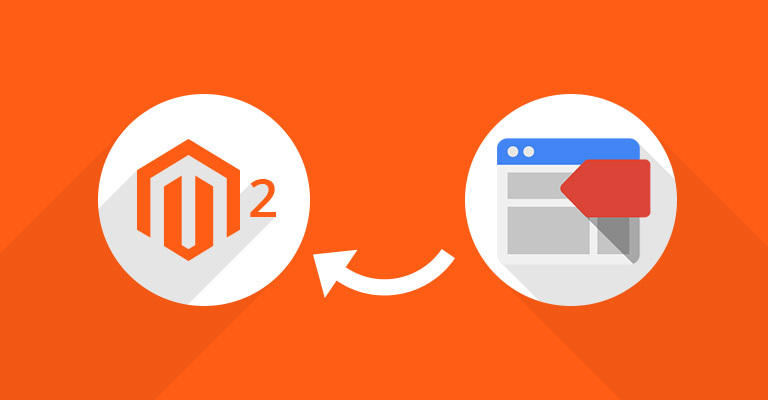 You can use any of the two methods for upgrading from Magento 2x to the latest version. After navigating to the public directory. If you run into problems like this, disable or remove any extensions you have and try again. In this case we had installed the database migration tool that was specific to the version we had installed so I deleted it. 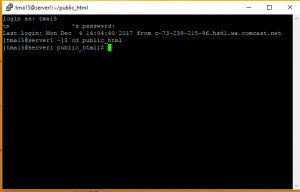 Open System and go to Web Setup Wizard. 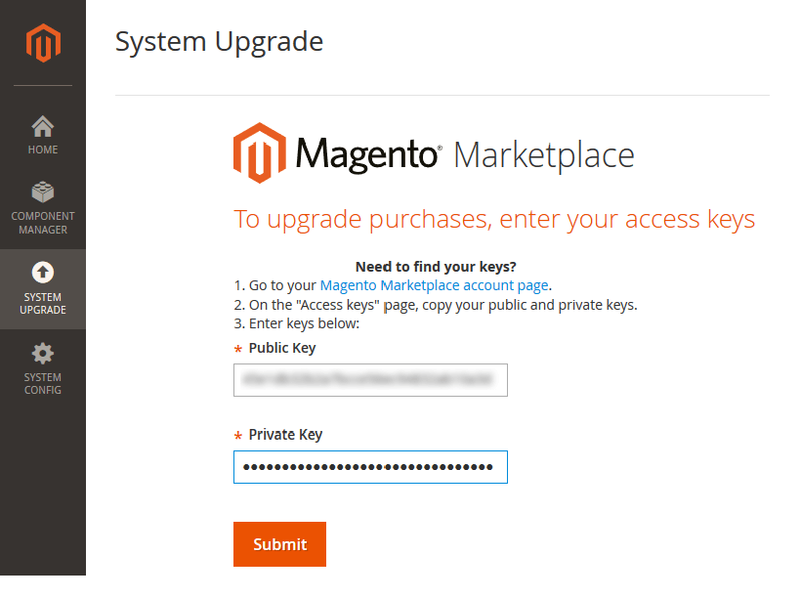 There will be requirement of public key and private key that you can get from marketplace.magento.com. 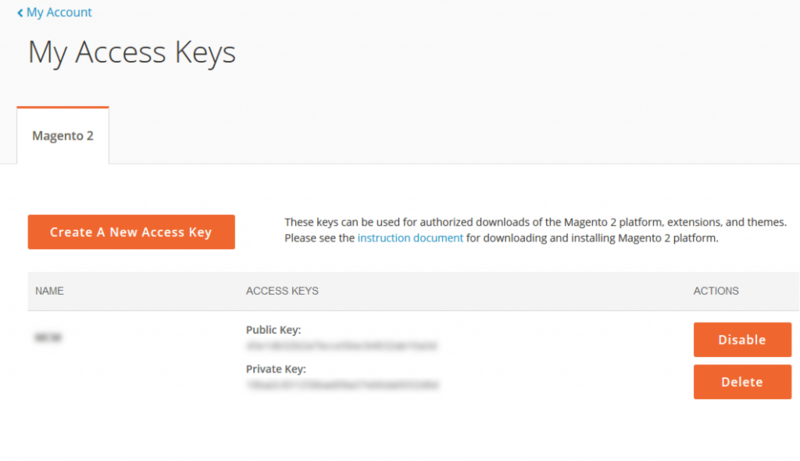 Search for My Access key after the Log in with your Magento account credentials. On the new window, select the new version and click next. Go through the readiness check. After that, create the backup for files and database. Once you are ready with the backup, click next. Click on the Upgrade button to get your System Upgrade done. After it is done, click on Back to Setup Tool to go back to the Magento Admin. 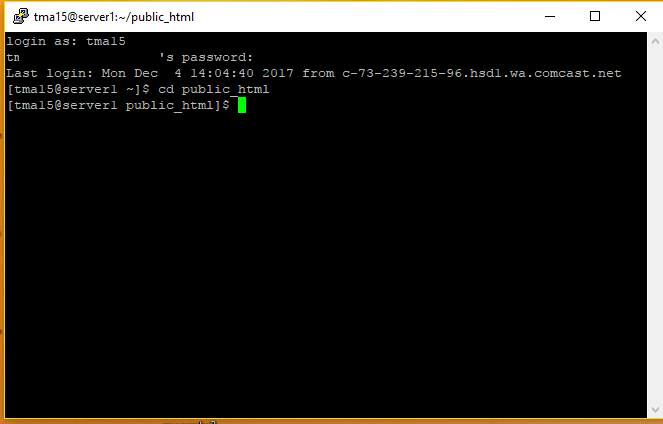 Login to your server via SSH. Take the backup of your database and files. Extract it using the extract command “tar xzvf magento2-2.2.0.tar.gz”.